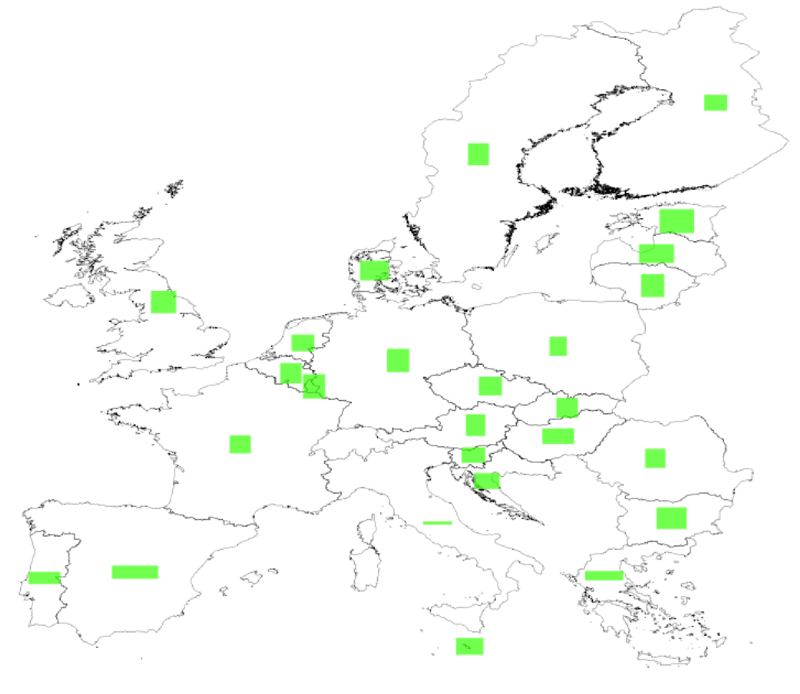 Composed of specialists in cartography and computer science, this standard is leaded by two teams of researchers in geo-informatic. Symbology Encoding is an OGC (Open Geospatial Consortium) specification (see more). The debate on SE is leaded by the Styled Layer Descriptor and Symbology Encoding 1.2 Standards Working Group (sldse1.2swg). Below some examples showing the capability of SE. 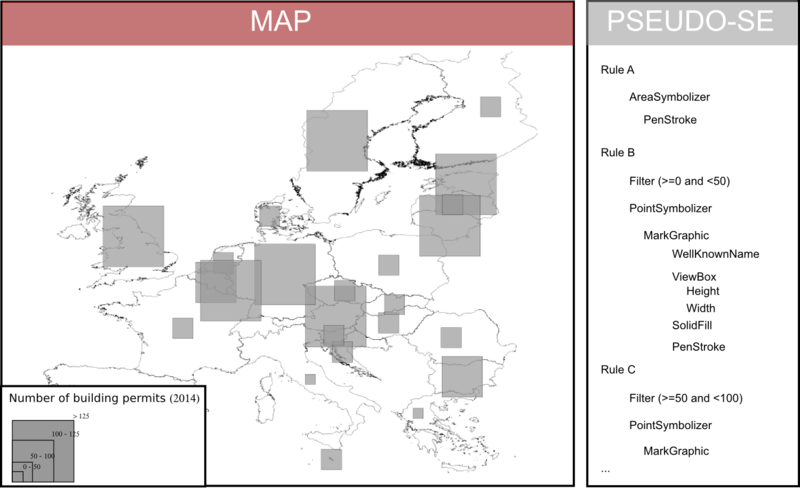 Single symbol map is used to apply the same symbol to all geometries in a layer. This map is usefull for drawing a layer with just one category such as county boundaries or buildings as above. Single symbol can be applied for point, line, or polygon layers. The unique values map is used to apply symbols to represent geometries with different values for an attribute. 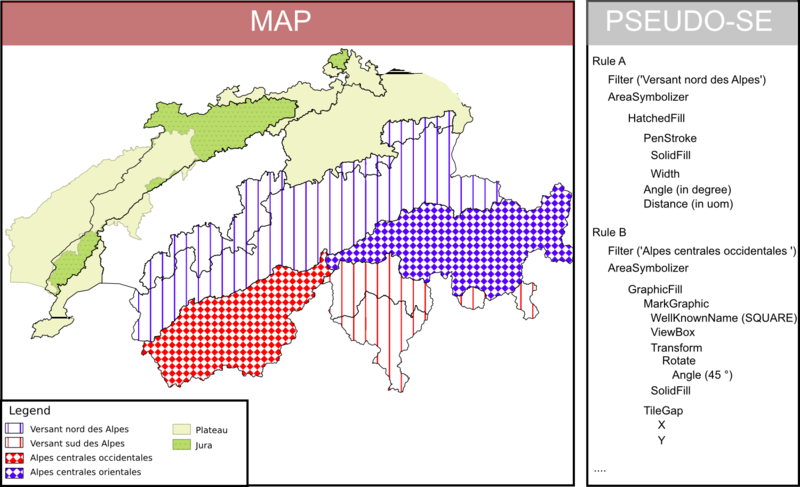 Unique value thematic map can be applied for point, line, or polygon layers. 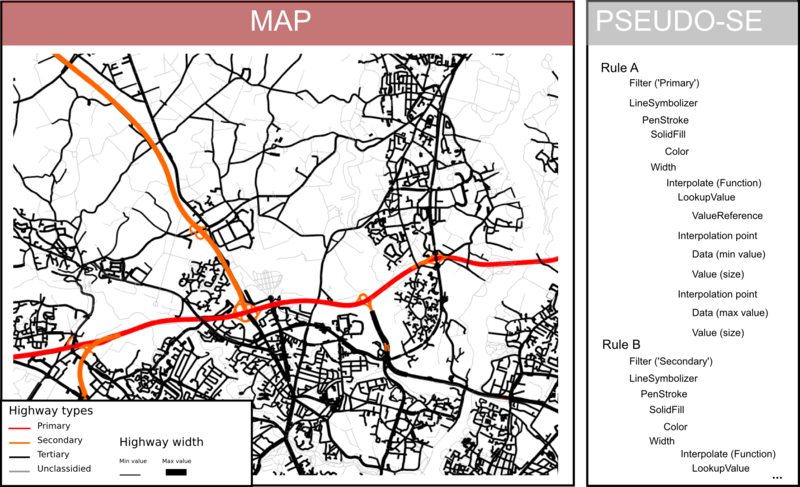 The above illustration is an example of a unique value thematic map based on highway types. 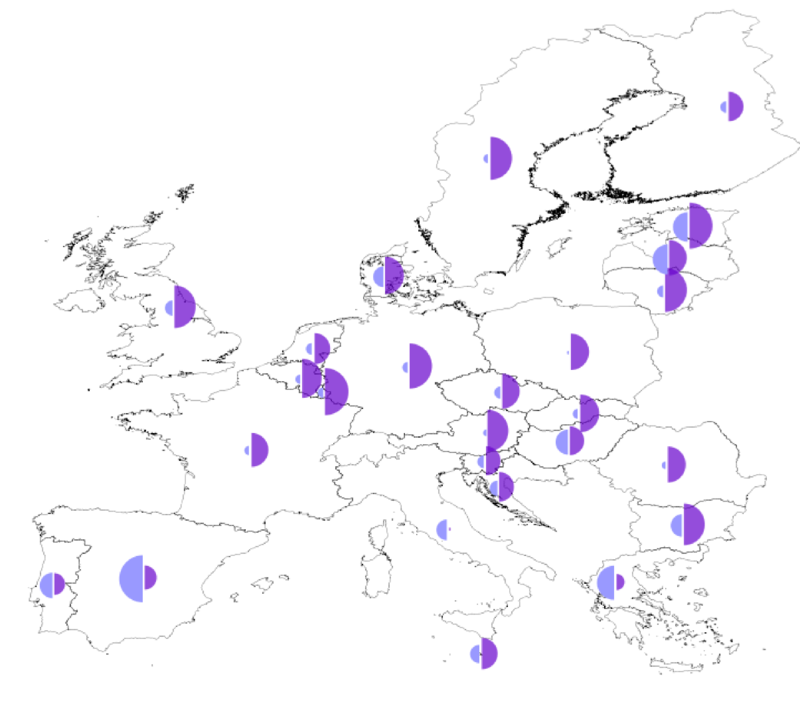 Choropleth map is the most common map representation.Based on of the subdivision of the attribute values into classes or intervals, areal geometries are filled. Graduated symbol map uses symbols of different sizes to represent differences in the magnitude of a discrete, abruptly changing phenomenon. It's the way to visualize absolute numbers like population size, traffic volume... The sizes of the symbols corresponds to a set of classes. 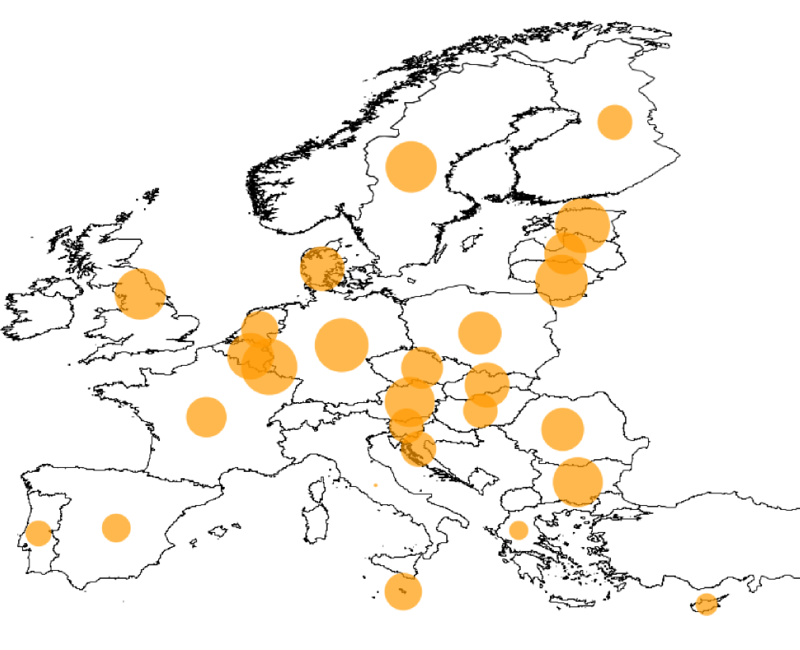 The following is an example of a Graduated Symbol map of 4 classes representing the number of building permits in Europe in 2014. Proportional symbol maps uses symbols of different sizes to represent the numerical values of an attribute. For a Graduated symbol map, the classed ones are known. 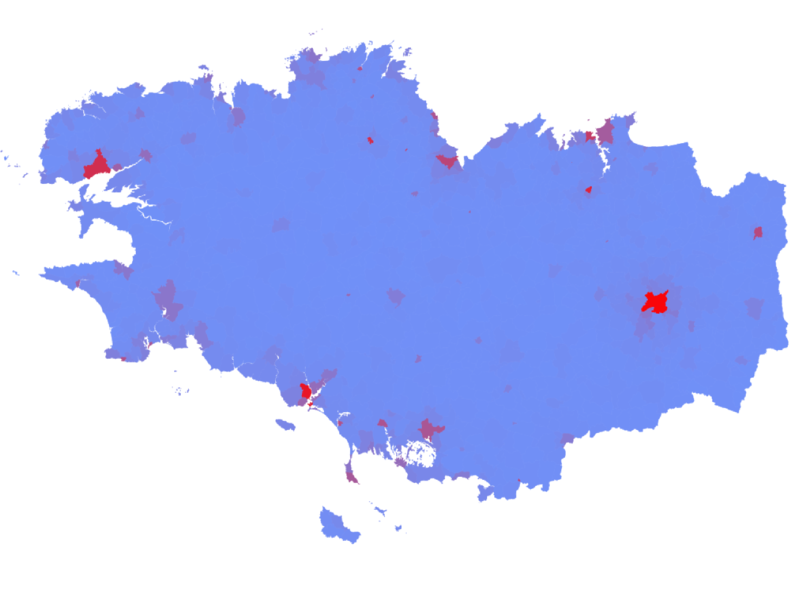 This is similar to the choropleth map where values are broken into ranges . 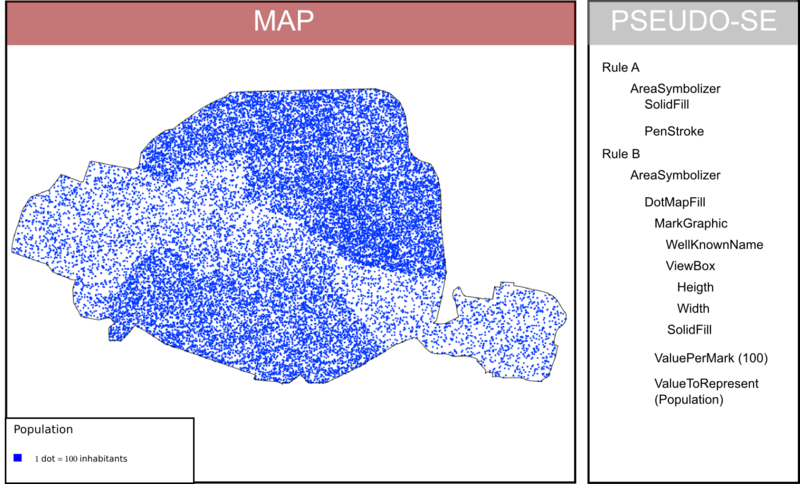 While a Proportional symbol map, the area of the symbols is made proportional with the value to be displayed (scaled proportionately). 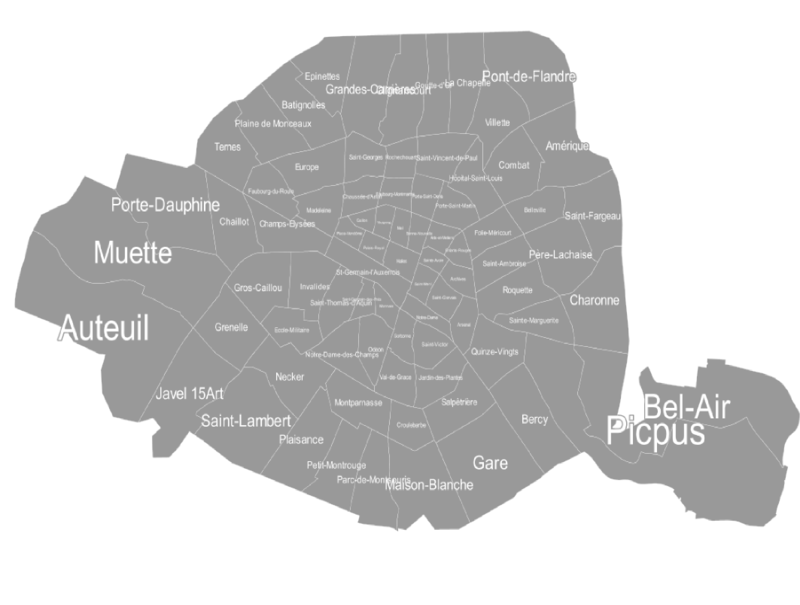 To improve perceptual scaling and facilitate understanding of the map, Cartographer uses custom shape for a symbol (truetype, image). 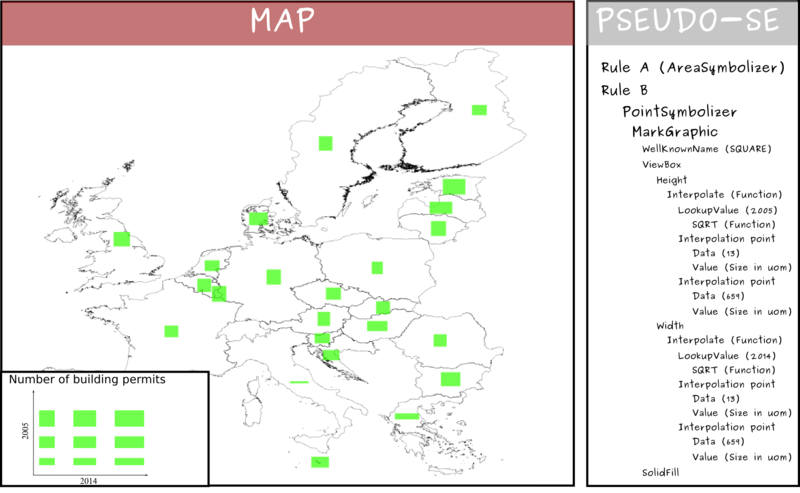 The following is an example of a Proportional symbol map where the symbol is represented by a building. 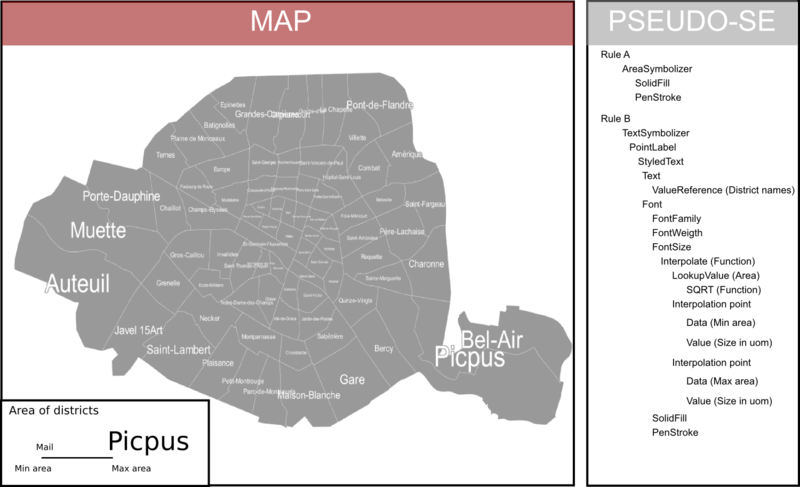 Proportional label map uses the same technique than proportional symbols, expected that the size of the font is scaled proportionately. 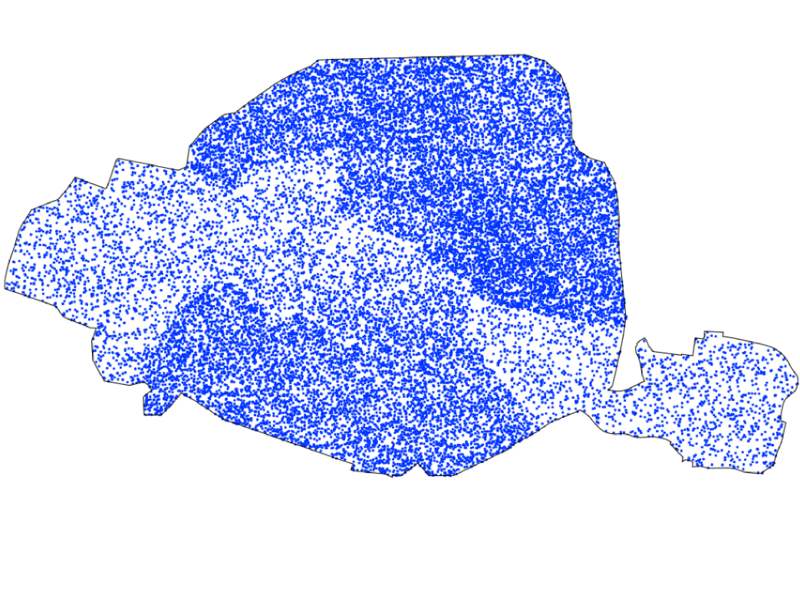 Interpolate color range is commonly used to display a raster with a continuous range of colors. However, as the following map shows it's easily to map continuous feature values using interpolate function. Note : As Color is specified with the 3 elements Red, Green and Blue, 3 interpolations must be apply. 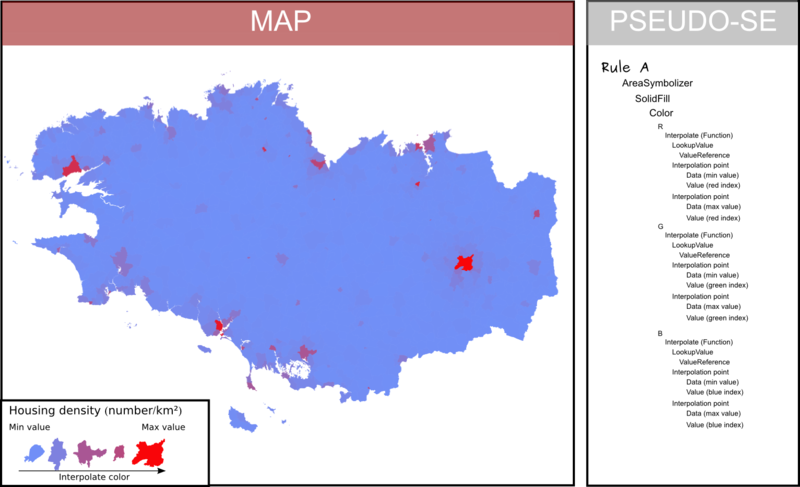 Bivariate map is a technique in cartography to display two different thematic variables at the same time. 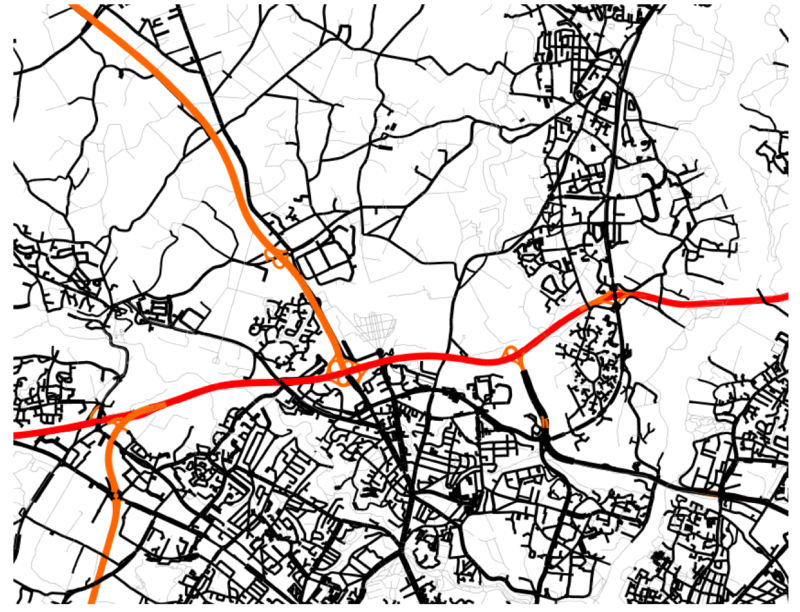 The following map displays a bivariate map applied on highway types and size. 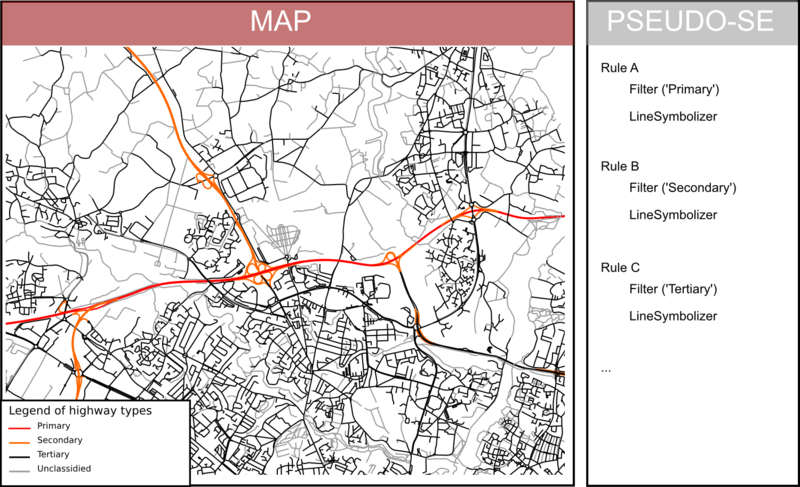 This king map combine a proportional line on the size of the roads and a unique values classification based on the road types. 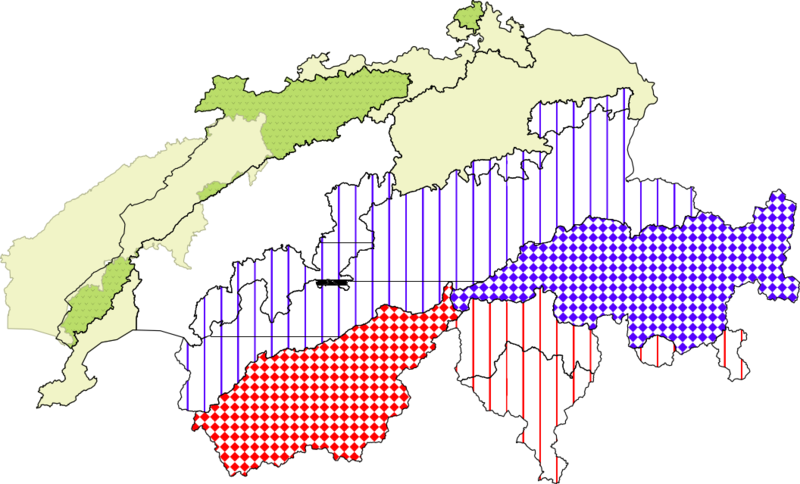 Bivariate map is a technique in cartography to display two different thematic variables at the same time. 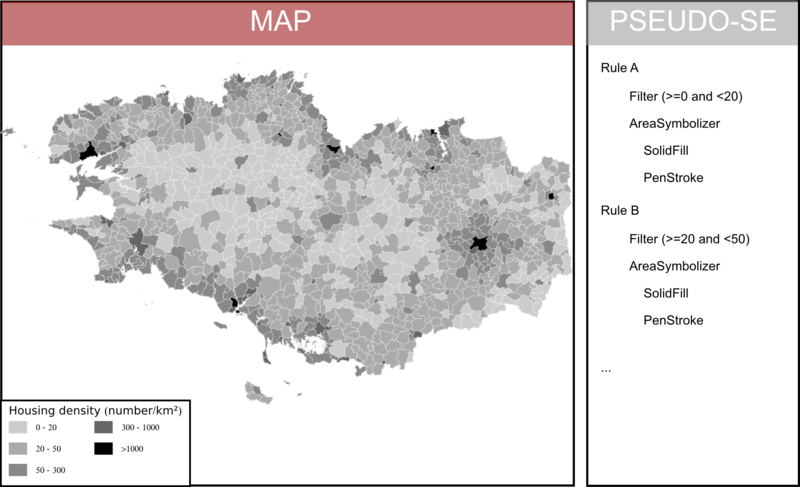 One of the most commun technique to create a bivariate map is to combine of visual variables. 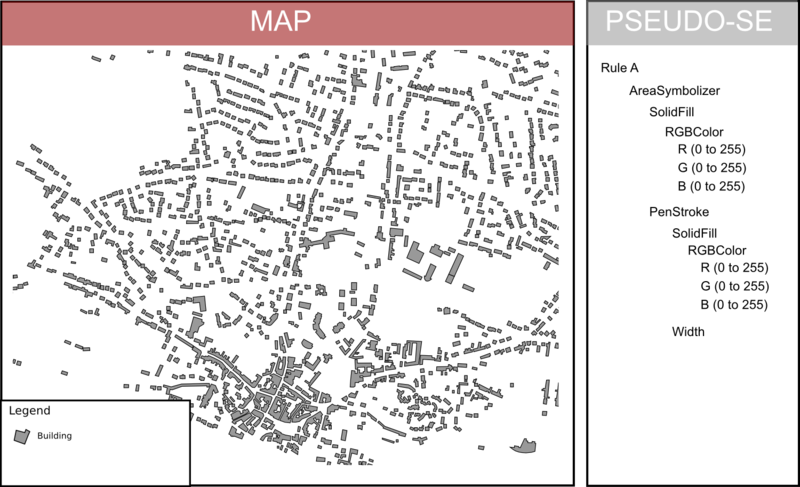 For most cartographers it may better support different map reading tasks. 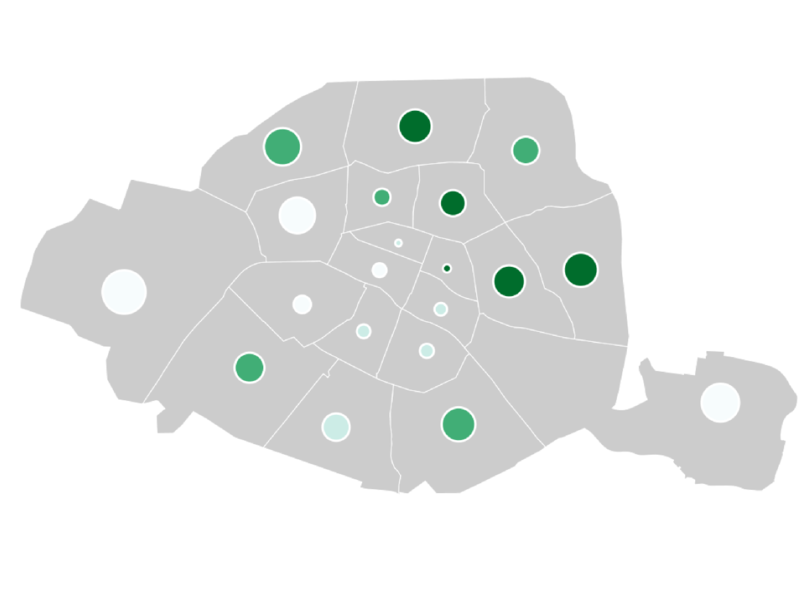 The following map uses the same visual variable to represent two variables (Half Circle). It permits a cross-variable comparison between the number of permits in 2005 and 2014. 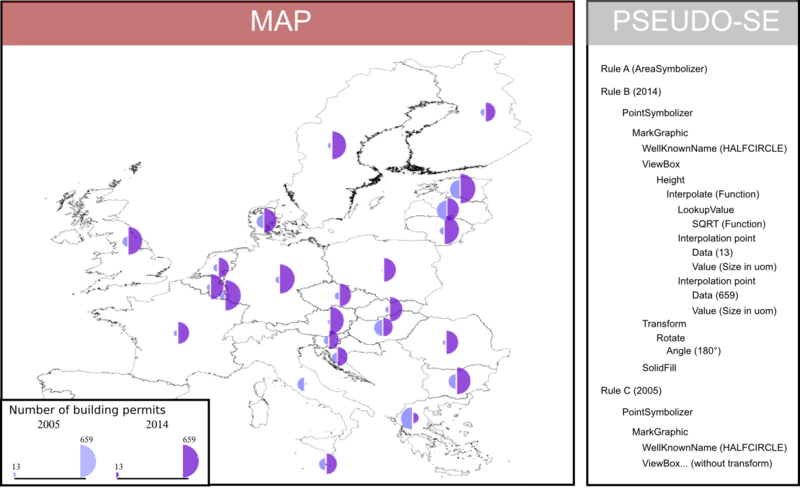 The Bivariate map proposes useful and number of techniques to display on the same map two attributes. 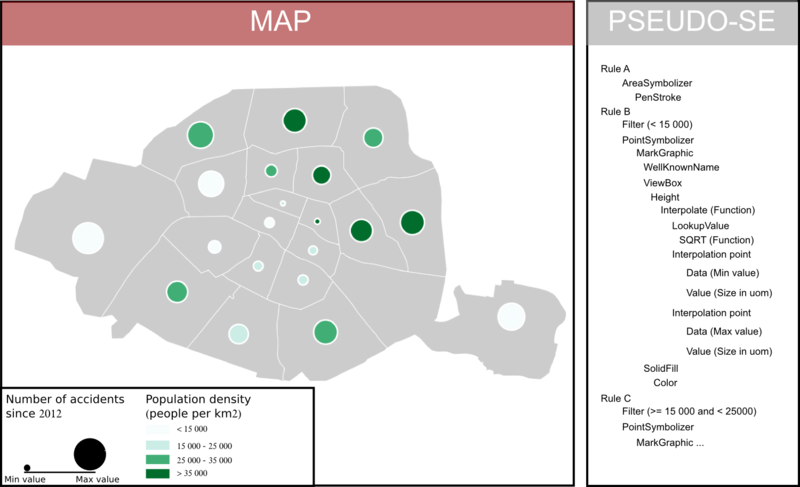 The following map uses a separable visual variable combinations to communicate two attributes about the number of accidents (proportional symbol) and the population density (choropleth map). The bivariate point symbol offers several alternatives to display multiple attributes at the same time. The cartographer can turn to visual variables as the shape, the size, the hue. The following map considers that the width and height are made proportional to each attributes being mapped : number of building permits in 2014 for the width and number of building permits in 2005 for the height. 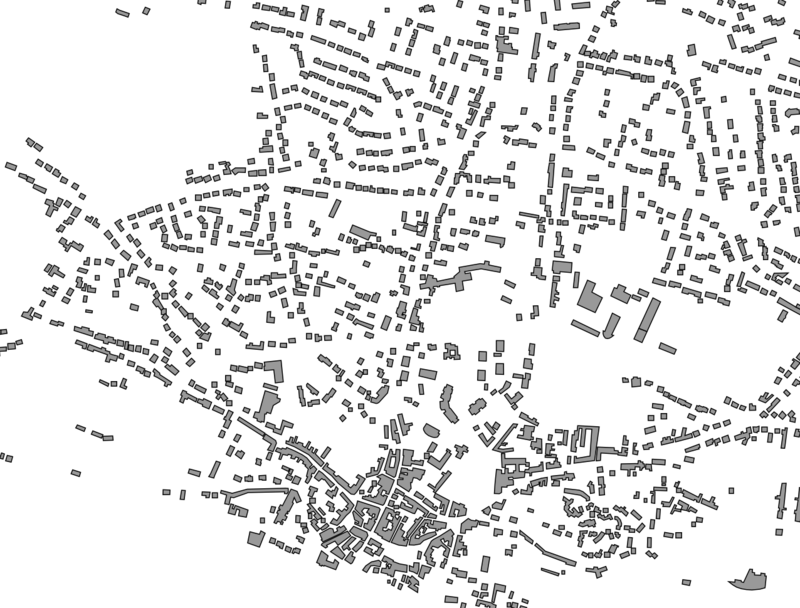 A Dot map is used to create a visual impression of density by placing a dot or some other symbol in the approximate location of one or more instances of the variable being mapped. 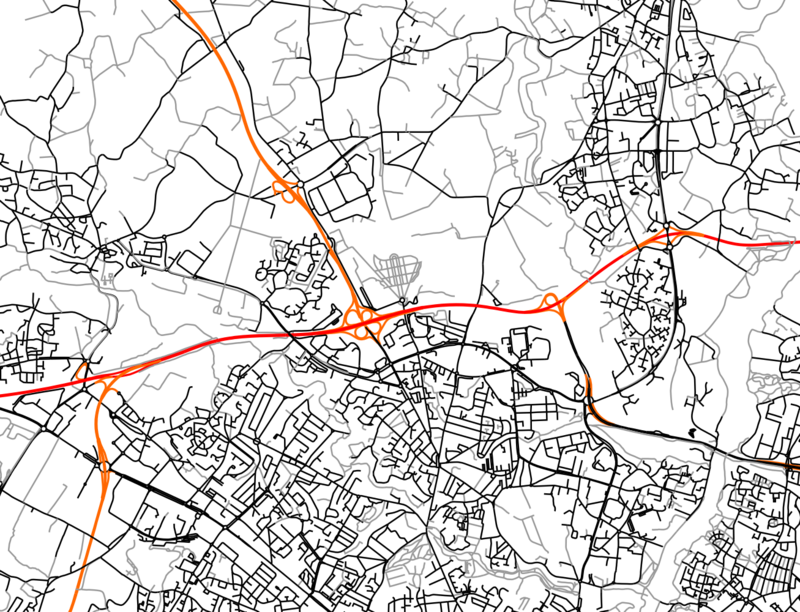 Dot map could not be used with normalized data but only for raw data. For a cartographer, the combinaison of visual variables serves as a fundamental graphic constituent of the map. There is no broadly accepted list of visual variables but several cartographic authors agree with a set of commons variables (Size, Shape, Hue-Color, Texture, Orientation, Saturation). 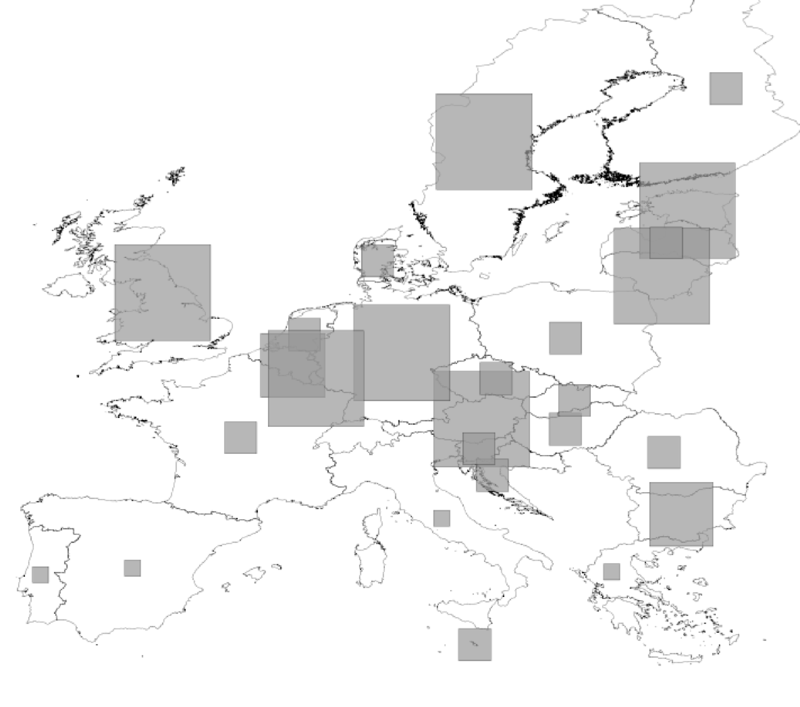 The following map shows assembled visual variables expressed with custom fills : GraphicFill and HatchedFill. 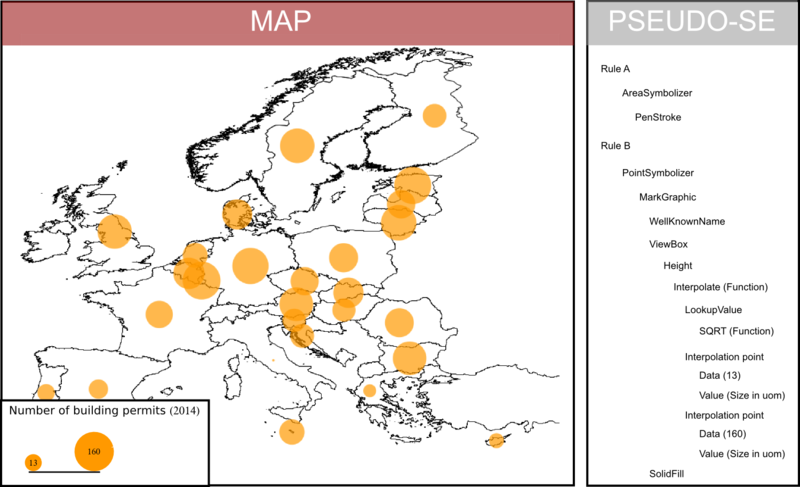 All these examples are produced using the OrbisGIS plateform that implements the SE specification.